MONDAY | 10:00 p.m. - 6:00 p.m.
TUESDAY | 10:00 a.m. - 8:00 p.m.
WEDNESDAY | 10:00 a.m. - 6:00 p.m.
THURSDAY | 10:00 a.m. - 8:00 p.m.
FRIDAY | 10:00 a.m. - 5:00 p.m.
SATURDAY | 10:00 p.m. - 3:00 p.m. This service to the Sandy Run area makes it easy to request items online and pick them up in front of the Water Department window without having to travel to St. Matthews. There is a dropbox located outside the water department to return items. 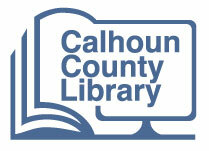 For more info, call the Library or Sandy Run Express Point Coordinator at 803-707-6231.